It’s embarrassing to admit this, but last week I forgot that my BD Nanook was still on the roof of my car as I drove into the garage. Imagine my anguished cry as I heard the smashing, tearing sounds as I drove my kayak into the garage-door. Fortunately, other than a few scratches, the kayak was ok. The car itself was also ok. My expensive roof-racks however, could only be described as “smashed”. The benefit of having a Folbot folding kayak however is that roof-racks aren’t required. I’d already repaired the damage I did to “Tabasco” in Alaska, so packed her back into her backpack, placed her in the car, and off I went. Now today was also about acquiring a Greenland paddle and testing it some more for both speed and ease of use. With the help of a GPS unit I took off and put the Folbot and the paddle through their paces, and was again suprised by the results. 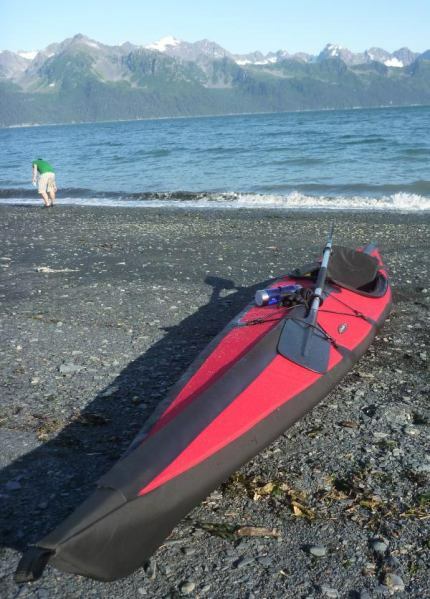 Greenland paddle and skin-on-frame kayak. How Inuit! With a very relaxed paddle-stroke, I was cruising at a little more than 6km/hr. 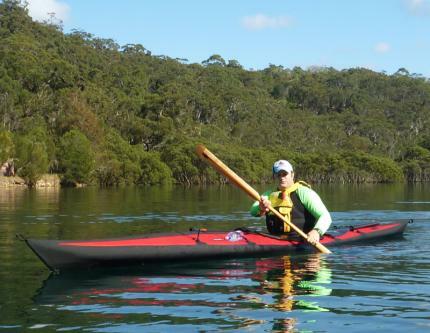 Considering my composite BD Nanook is even faster, there is easily going to be enough cruising speed for my upcoming 111km paddle on the Hawkesbury. But more importantly was the continued fun I was having with the paddle. With one hand over the end of a blade, you can use it like an extended canoe paddle, and with the length of the paddle a few strokes like this almost fire the kayak out of the water! 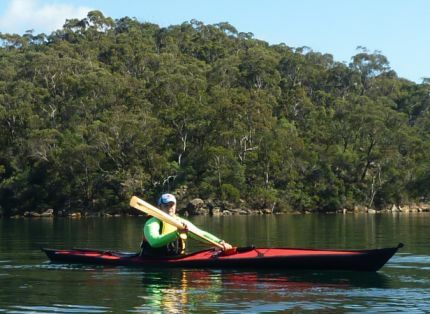 By using the full length of the paddle, sweeps and steering strokes offer enormous responsiveness. 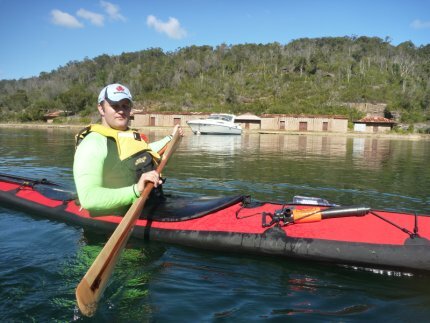 I could swap between paddling low-angle, high-angle and canoe-paddling whenever I felt like it without losing any cruising speed at all. In fact the more I used it, the more I fell in love with this thing. Youch to the garage incident! Do you notice less stress on shoulders and such with the Greenland paddle? Seriously, would LOVE to come visit you in Greenland…. DVD with Greg Stammer Greenland Paddle instruction is waiting for you at SHK.